The Odin Minimalist Jacket is an ultra lightweight 2.5 layer rain jacket that’s designed to provide weather protection with the absolute minimal weight penalty. Instead of weighing it down with extra features, it cuts back, providing only the essentials. I put it to the test, and I liked it. The jacket is purely minimalist, consisting of little more than a front zipper, a single chest pocket and a hood. There are no hand pockets or Velcro wrist straps and the only real adjustments are in the hood and the waist, allowing it to be closed down around the user to block out rain and wind. 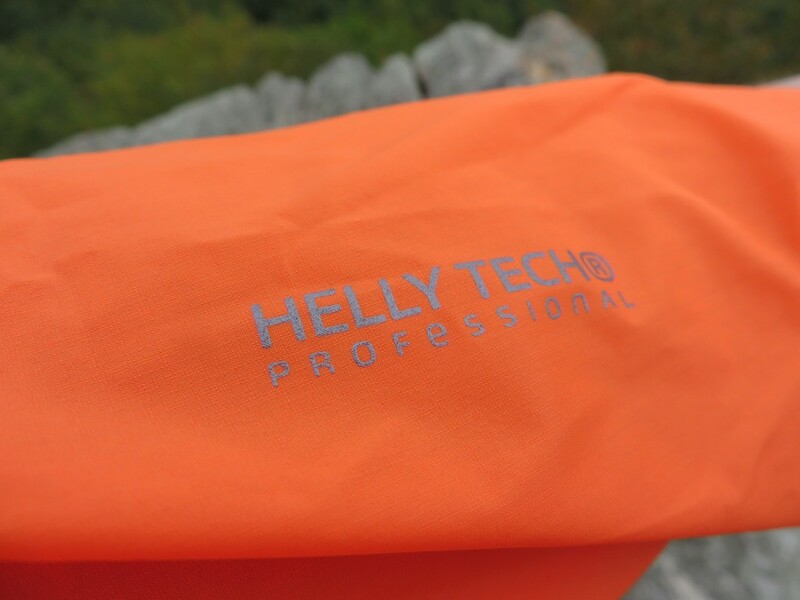 The jacket uses Helly Tech Professional, a 2.5 layer laminate which consists of two layers of fabric and a waterproof coating. The jacket is seam sealed and waterproof all around, creating a full wall of resistance around the user. The jacket is available now, weighs under 6 oz, and retails for $200. 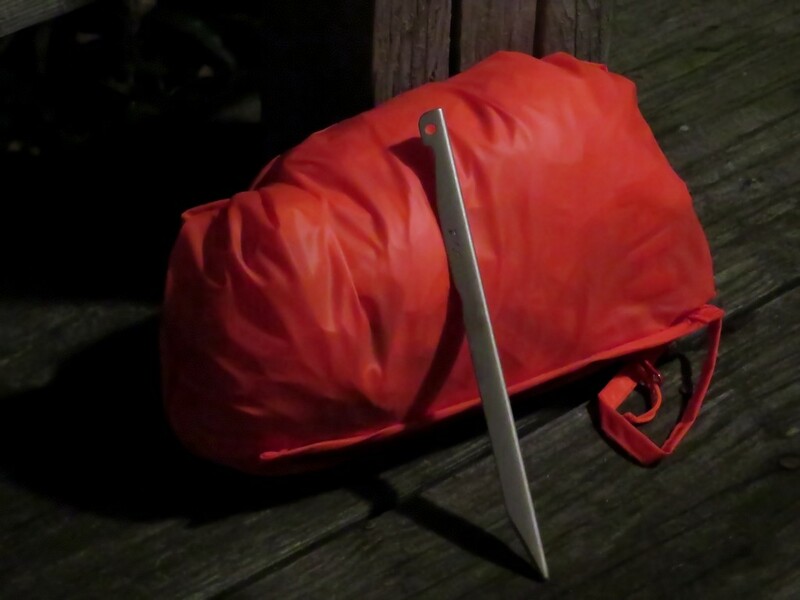 The Odin Minimalist is incredibly light weight and packable. So much in fact that it actually fits inside its own pocket. I’ve been able to stuff it inside my water bottle pocket alongside my water bottle, essentially taking up no internal pack space. Designed more as an emergency jacket than a bomb proof storm shield, it gets out of the way without burdening the carrier. Weather protection is pretty solid. It did a great job of blocking wind and wet clouds as they blew through, and held its own during some short duration torrentials. It’s not going to hold up to the constant pounding of heavy rainfall for hours on end, but for most conditions it holds up pretty well without wetting out. The jacket feels quite nice. It sits close to the body with an athletic fit, but still has just enough room for a light weight mid layer to slide underneath. The materials are soft and feel nice against the skin, without getting clammy when the humidity climbs. 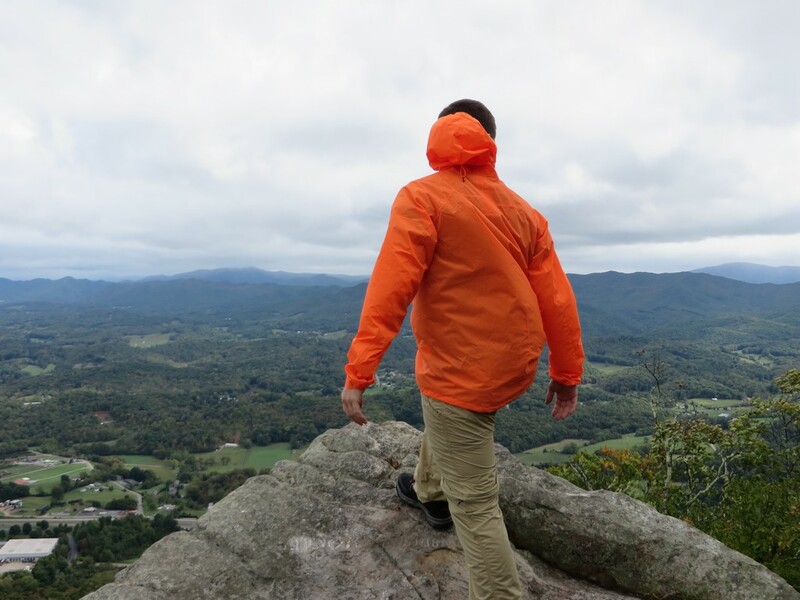 Thanks to the thin build, it stays nice and cool when moving, and it’s breathable enough to be used during light hiking and hill climbs without accumulating body sweat underneath, despite the lack of vents or pit zips. Although it’s built to be as light as possible, it’s still constructed with care and precision. The zippers slide easily without getting hung up, and the body has held up great to briers and thorns when pushing through thickets. Continuously packing it inside various backpacks with gear both in the woods and around town has had no affect on the seams or waterproof coating and the outer fabric still shows no signs of wear and tear. It’s a somewhat limited jacket. If you live in an area that consistently gets hard rain that lasts for days without release, it’s probably not that jacket. If instead you need something for the occasional shower or even extended sprinkle session, this will suffice and save a lot of pack weight. Those who expect the worst on a regular basis might want to go with something a little beefier as it will, like all 2.5 layer jackets, eventually wet out. Having no hand pockets can make for some cold fingers in near freezing temperatures when it’s raining. A pair of waterproof gloves easily fix that problem. The Odin Minimalist is a nice jacket when packed size and weight are the real concern. Cutting back on unnecessary features makes for a supremely packable and light weight design without sacrificing reliability or durability. It’s quite comfortable, and has held up surprisingly well in short duration rain storms, which is all that most backpackers need. My biggest complaint was the lack of hand pockets, as I’m a bit cold natured when it comes to the ol’ phalanges. Otherwise, it’s a solid option. I want to extend a huge thanks to Helly Hansen for their continued support and for providing us this great jacket for review. We couldn’t do this alone, and we certainly appreciate the help. Our full disclosure can be found here. 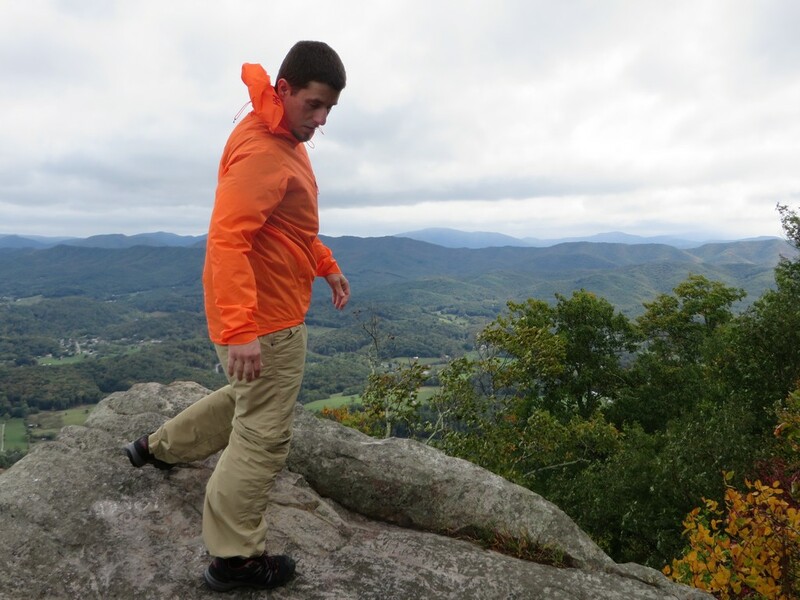 They also make my favorite insulated jacket, the Odin Insulator. It’s synthetic, so it works when it’s wet, and very very comfy. I’ll have a review of the 2015 version up soon too. Aweesome review. Great looking jacket.